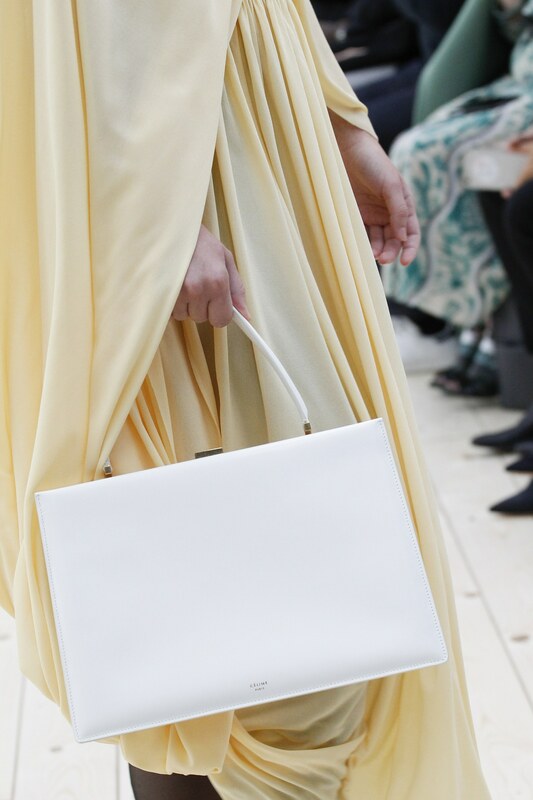 simple yet fresh and elegant collection. 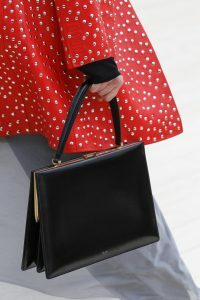 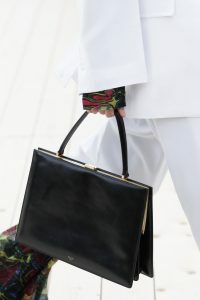 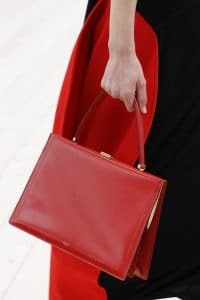 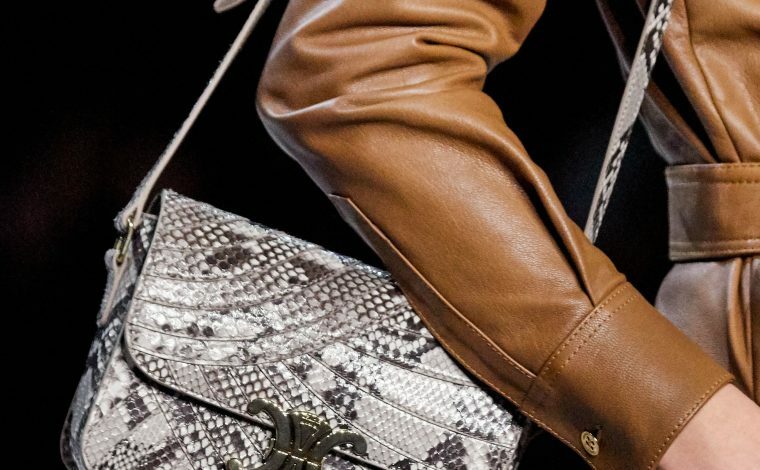 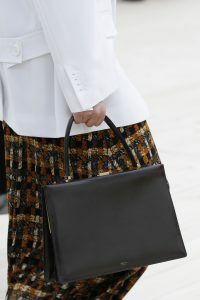 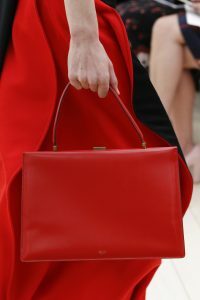 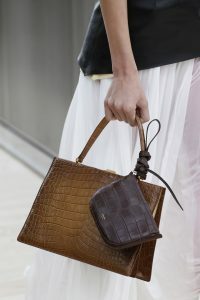 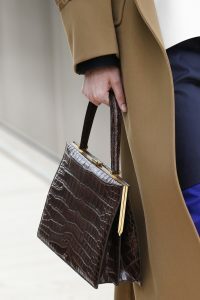 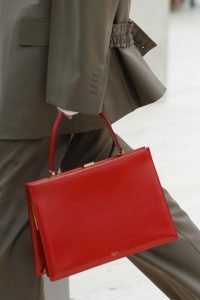 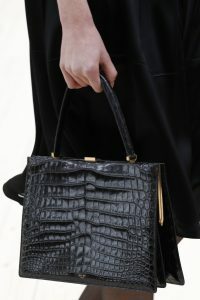 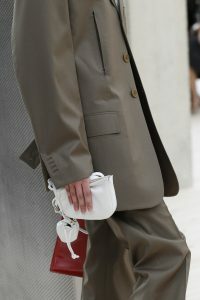 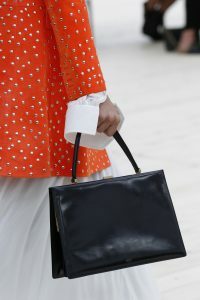 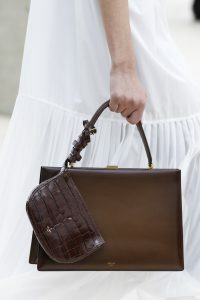 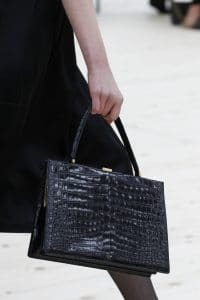 The bags comes in basic colors such as Black, White, Brown, Gray and Red. 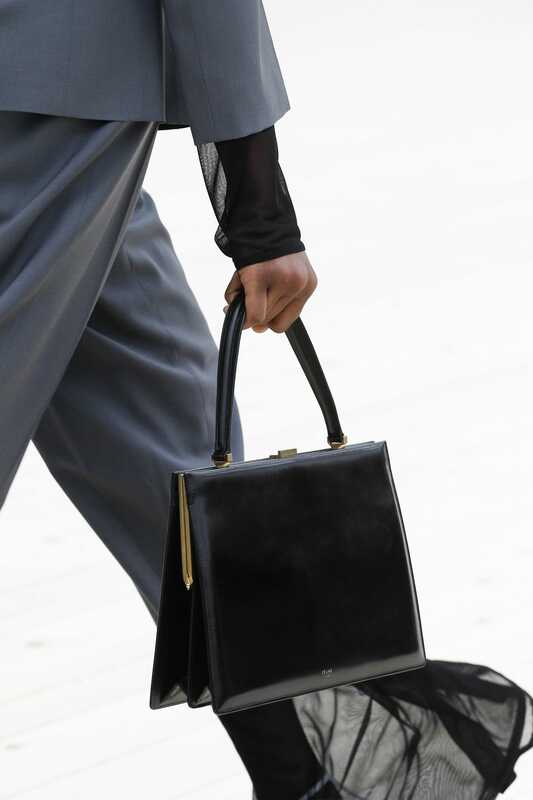 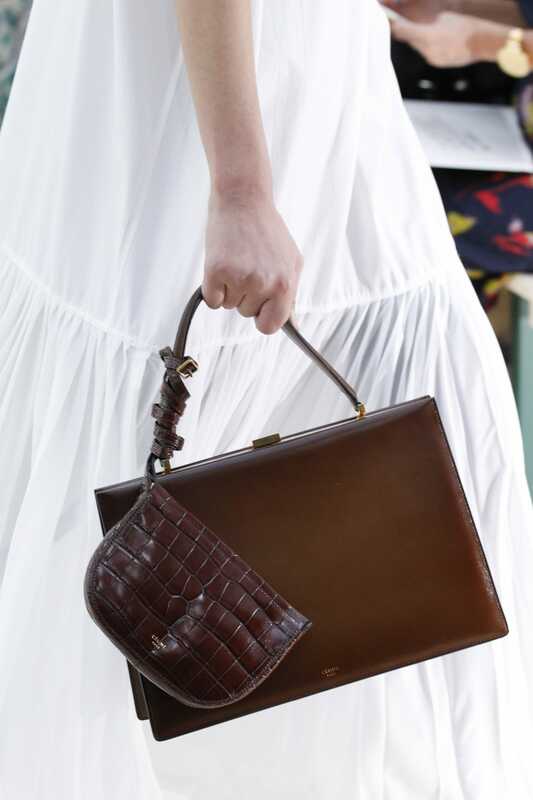 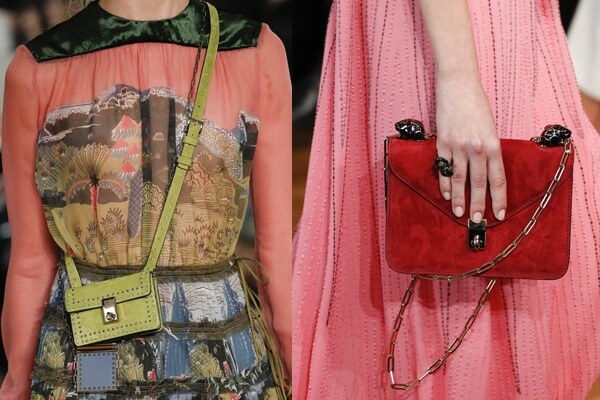 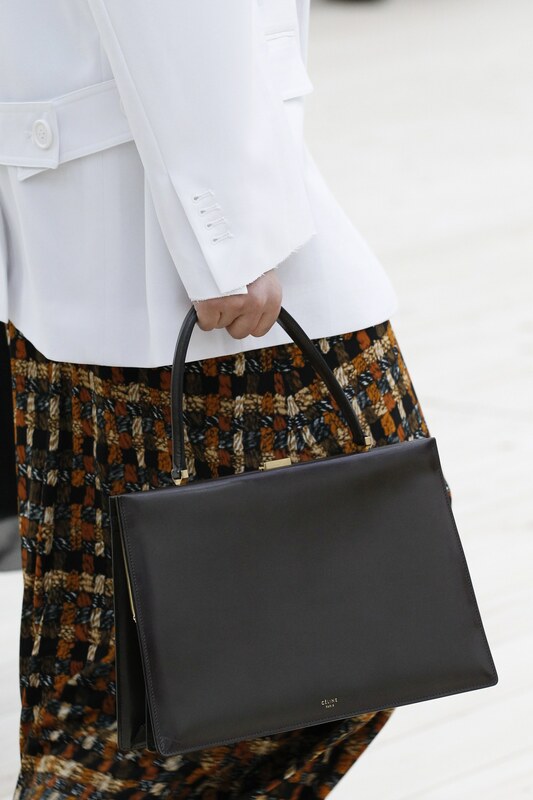 The collection presents structured top handle bags with clean lines. 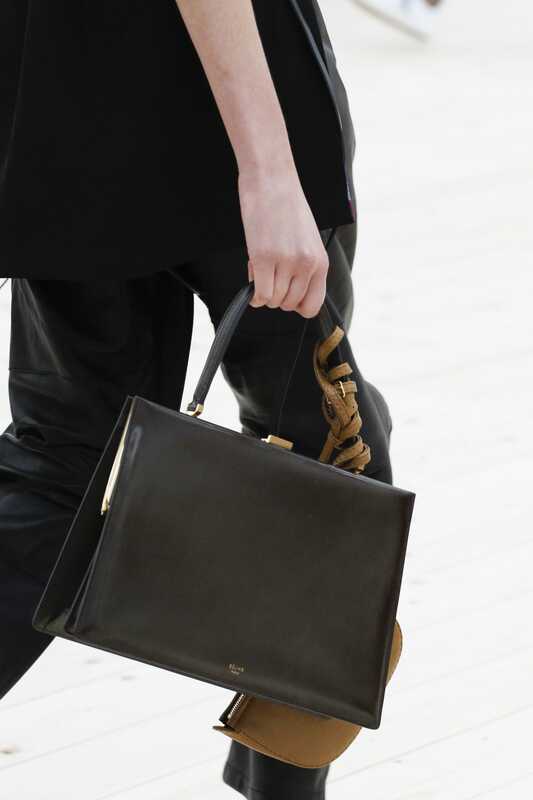 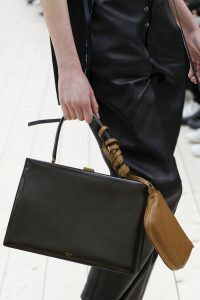 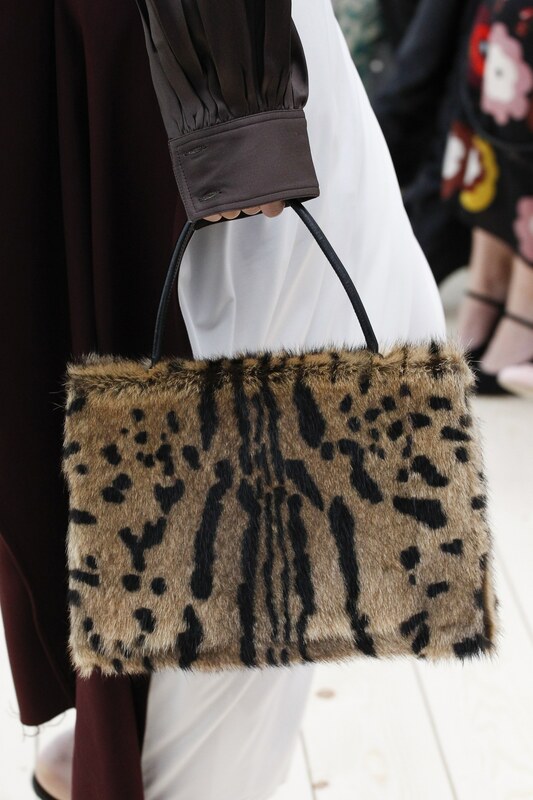 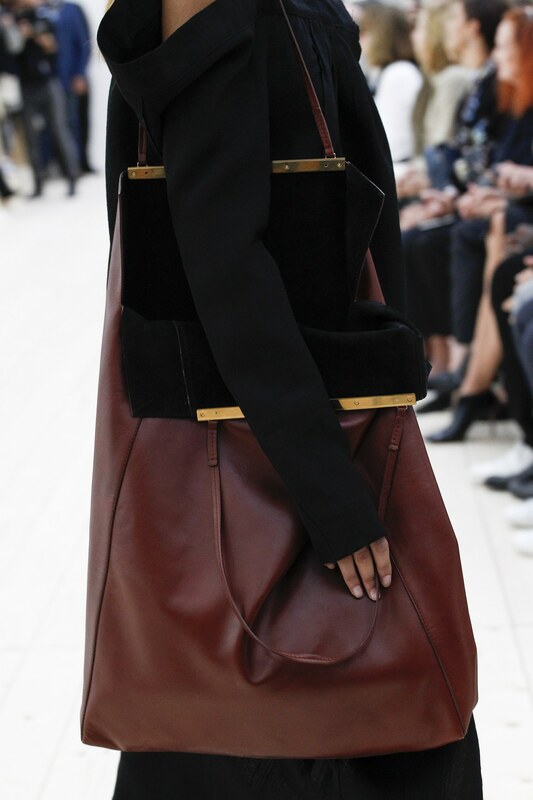 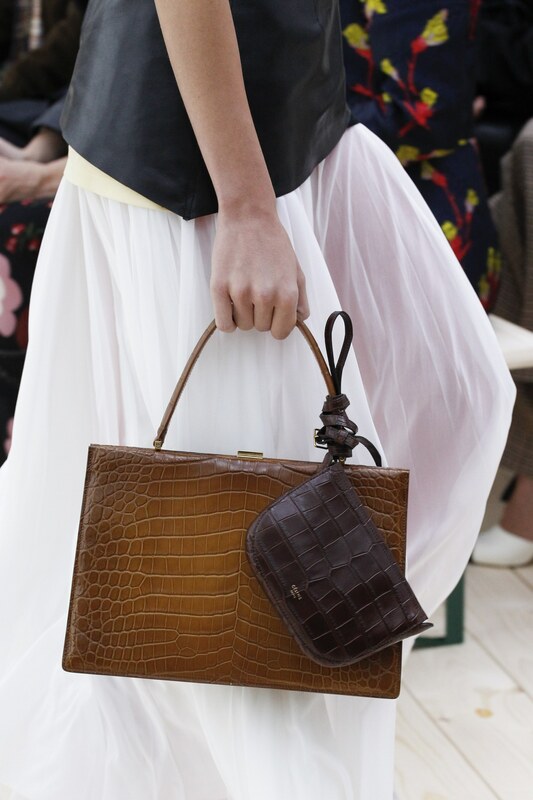 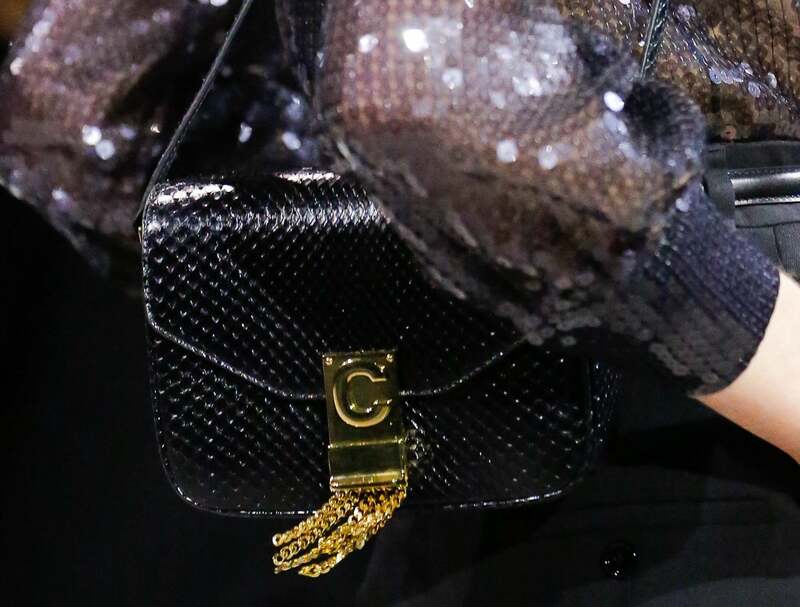 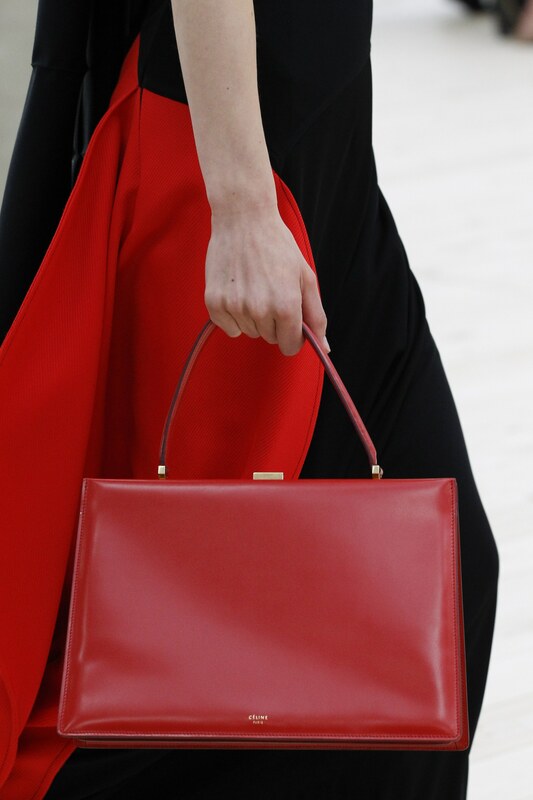 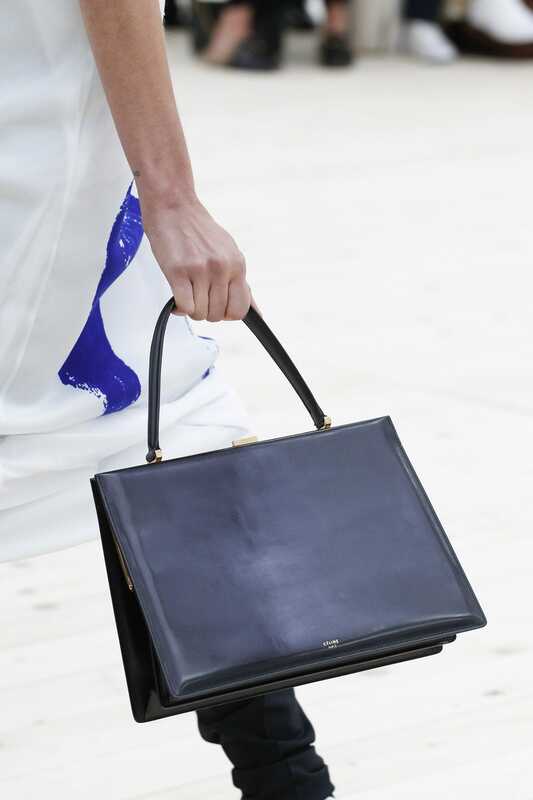 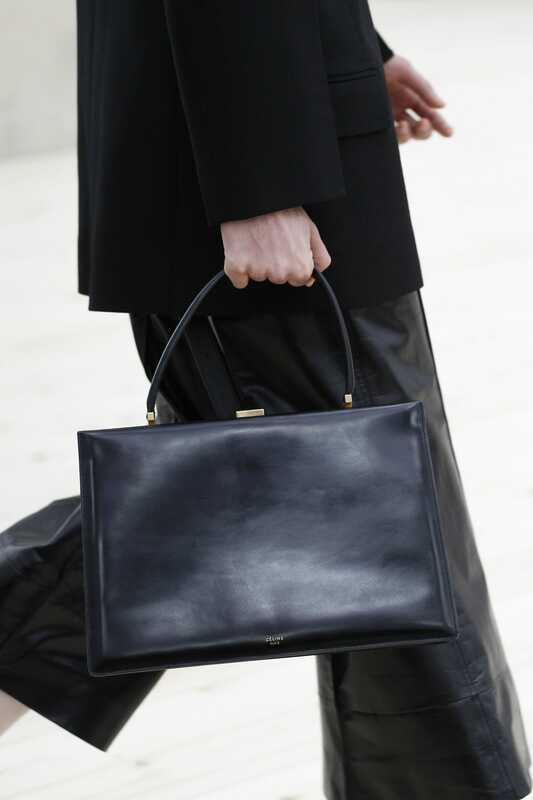 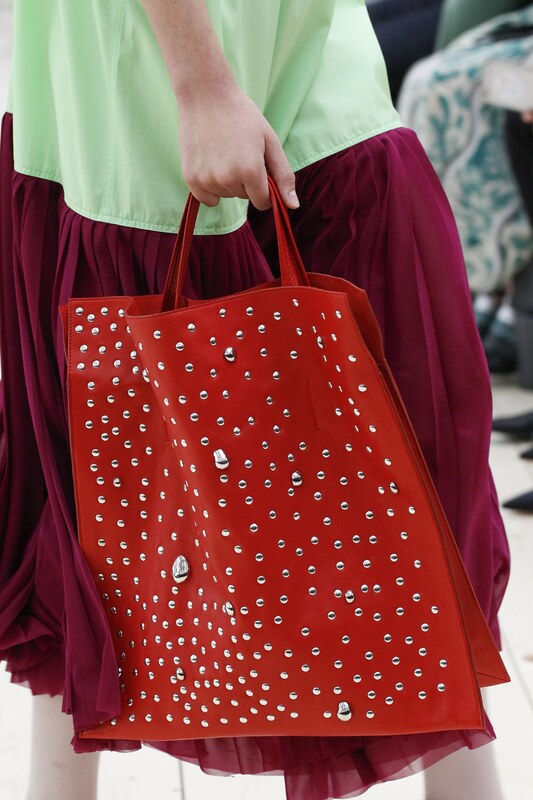 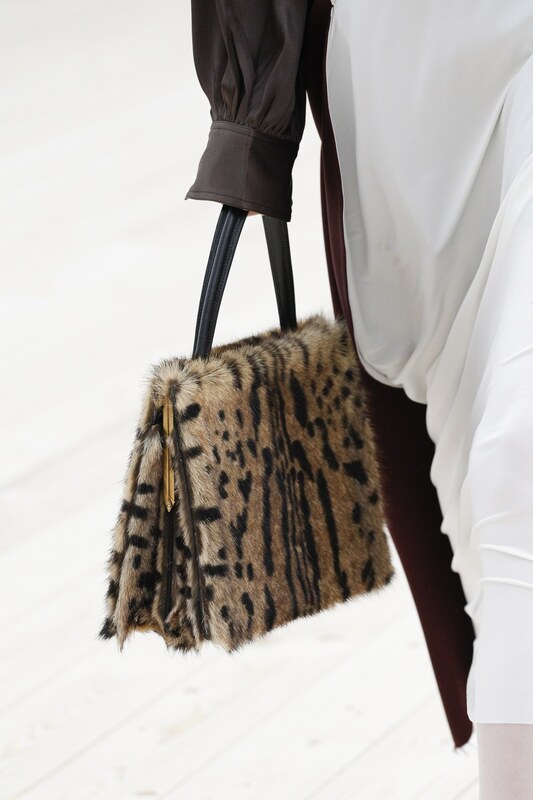 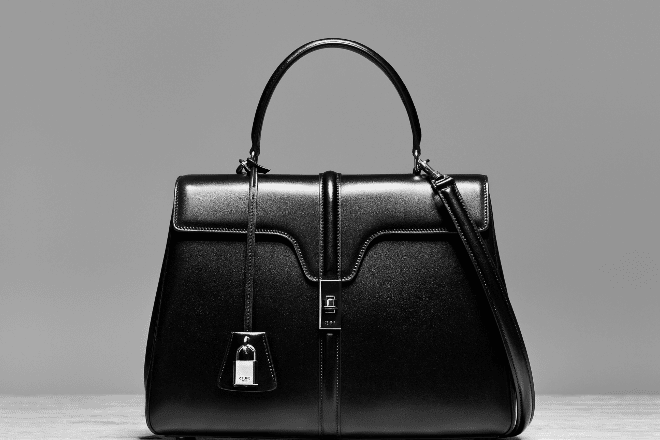 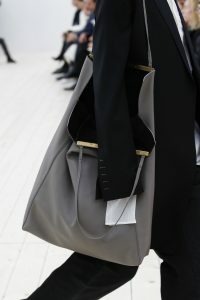 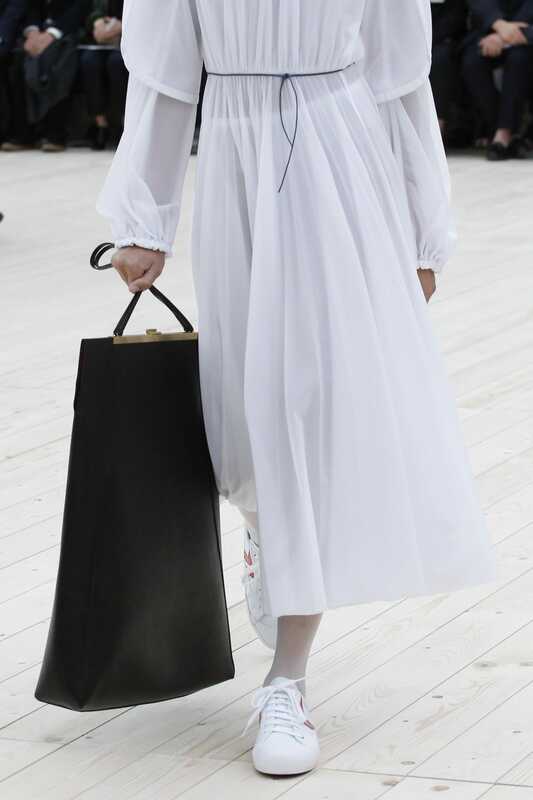 The top handles bears the Celine logo and comes with metal clasp. 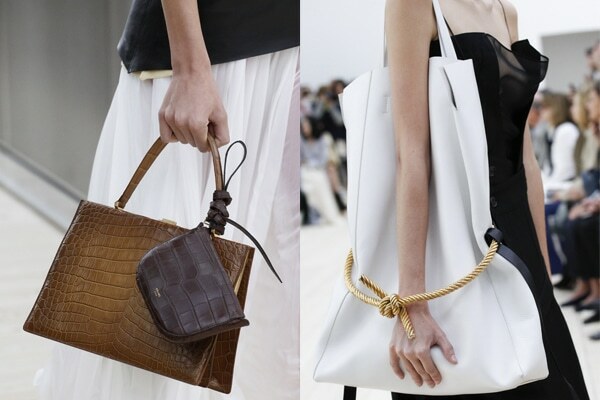 Some of these comes with a mini pouch bags, used as a bag charm. 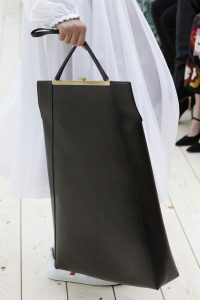 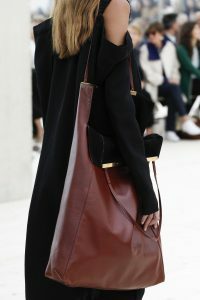 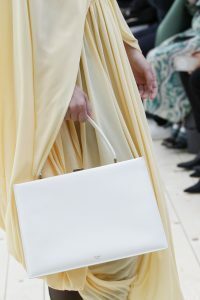 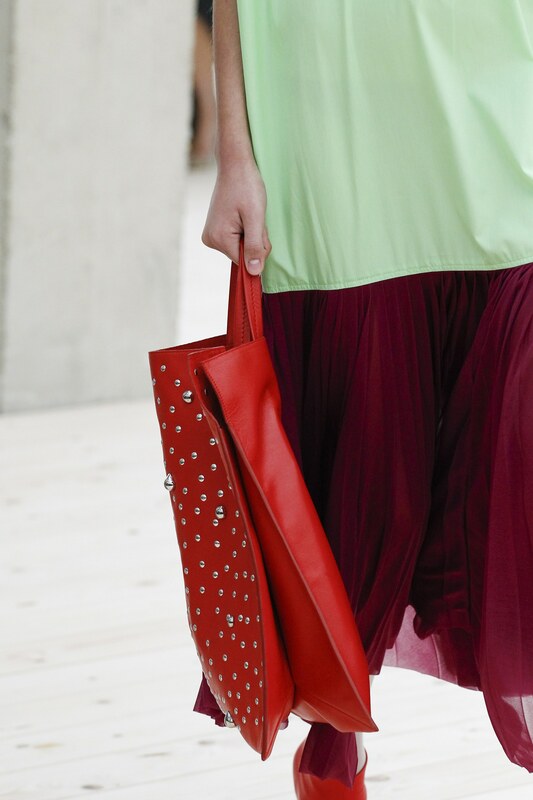 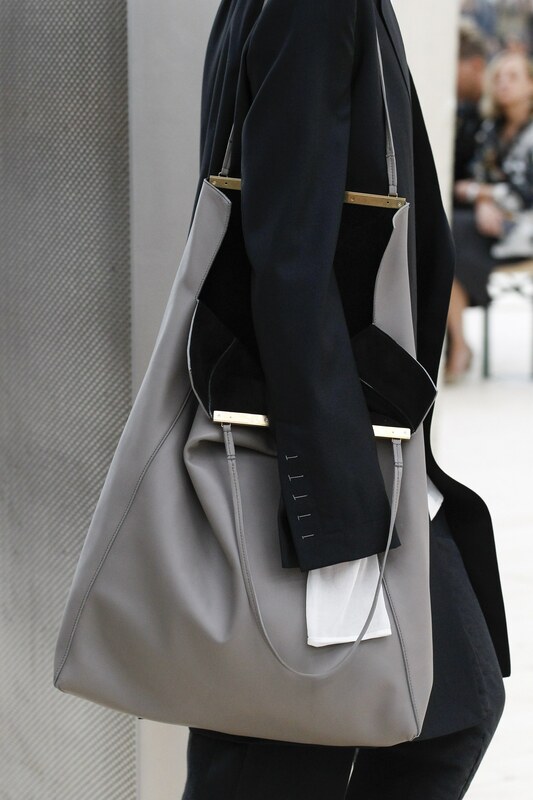 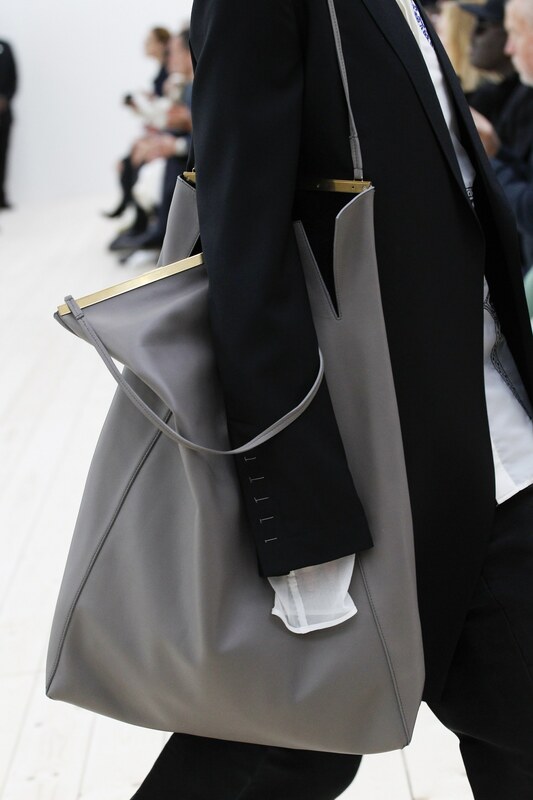 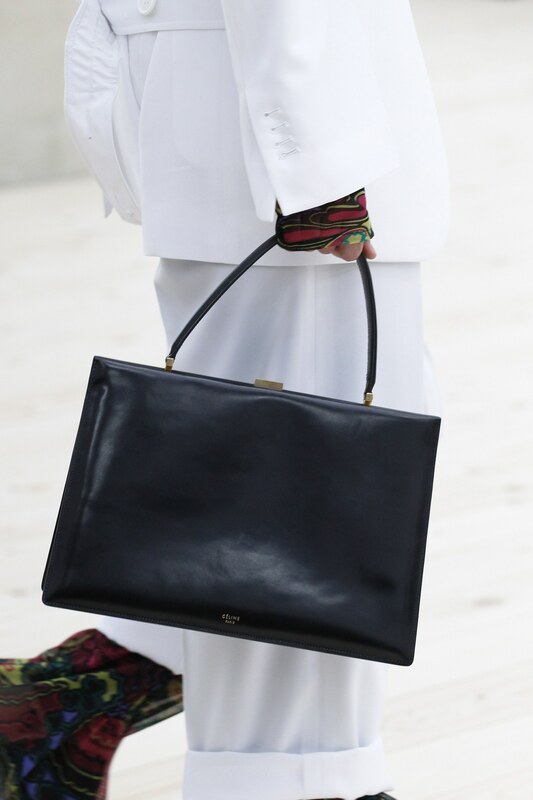 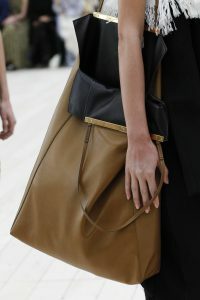 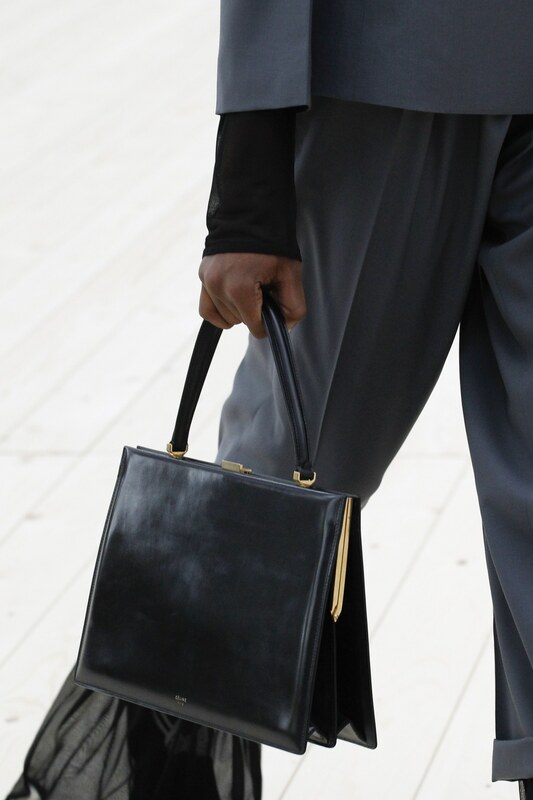 Long tote bag which also has a metal clasp closure and thin leather straps where also seen on the runway. 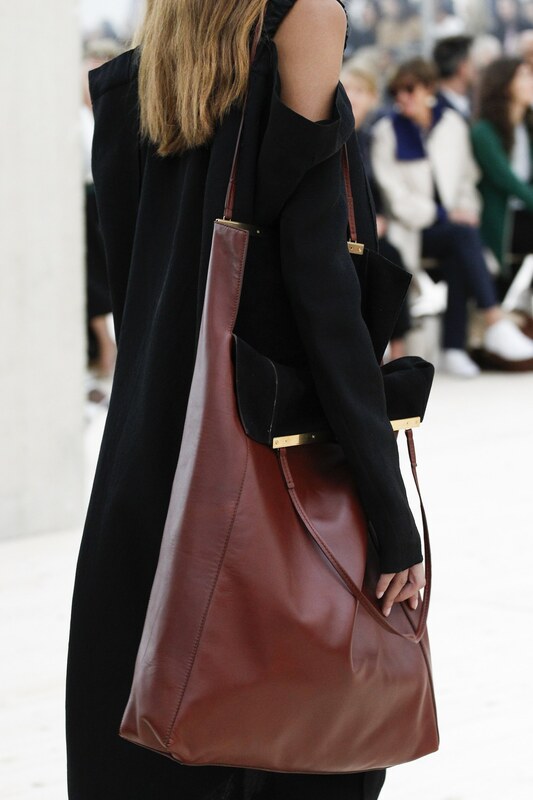 While other totes reminds us of an extended version of the brand’s iconic Vertical Cabas.